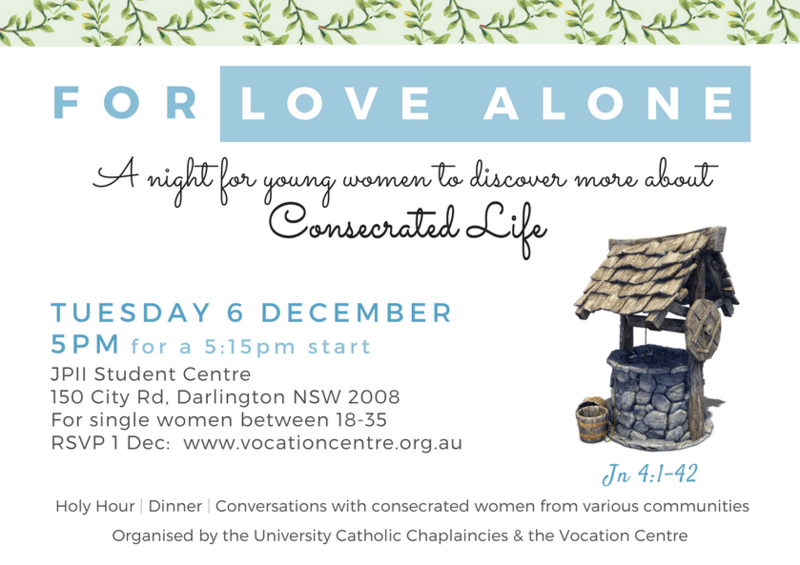 We are delighted to invite you to For Love Alone, a night for young women to discover more about the Consecrated Life. This night will be an opportunity for young women (Single – 18 to 35) to meet and have conversations with consecrated women from many different communities. The program for the evening includes a Holy Hour, dinner, testimonies and more. This event is brought to you by the University Catholic Chaplaincies and the Vocation Centre.